Because of the dislocations caused by the war and Thich Nhat Hanh’s exile from Vietnam, no additional ordination into the Order occurred for fifteen years. Then, beginning in 1981, Thich Nhat Hanh invited into the Order some of the many lay and monastics students who studied and practiced with him in the West. By 2006 the Order had grown to include approximately 1000 lay practitioners and 250 monastic practitioners outside of Vietnam. In 2006, during his first visit to Vietnam after 39 years of exile, Thich Nhat Hanh’s again offered an Order of Interbeing ordination to committed practitioners in Vietnam. Within a year of Thich Nhat Hanh’s visit, in conjunction with establishment of monastic centers in Vietnam practicing under his supervision, the Order in Vietnam grew to include hundreds of new monastic and lay members. The Order of Interbeing (Tiep Hien) was formed by Thich Nhat Hanh in the mid- 1960s, at a time when the Vietnam War was escalating and the teachings of the Buddha were desperately needed to combat the hatred, violence, and divisiveness enveloping his country. On the full moon day of February 1966, Zen Master Nhat Hanh ordained six members into the Order, three men and three women ranging in age from twenty-two to thirty-two. All of them were Board members of the School of Youth for Social Service, which he had helped found the year before. 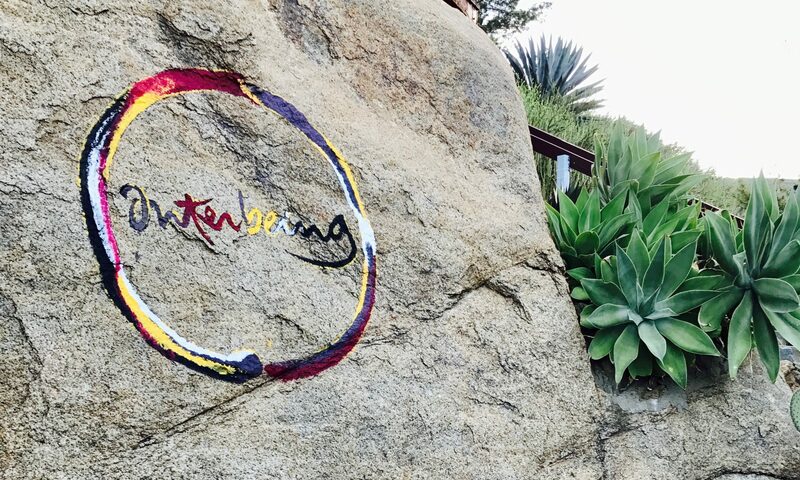 From its inception, the Order of Interbeing was comprise of all four membership categories of the original Buddhist community (Sangha)- monks, nuns, laymen, and laywomen. Of the first six ordinees, the three women chose to live celibate lives like nuns, although they did not shave their heads or take all the formal vows of Buddhist nuns, and the three men chose to marry and practice as lay Buddhists. The ordination was a wonderful celebration. Each ordinee was presented with a lamp with a handmade shade on which Thich Nhat Hanh had calligraphed Chinese characters like “Lamp of Wisdom,” “Lamp of the Full Moon,” and “Lamp of the World.” During the ceremony, the six ordinees vowed to study, practice, and observe the Fourteen Mindfulness Trainings of the Order of Interbeing, a wonderful blend of traditional Buddhist morality and contemporary social concerns. Forged in the crucible of war and devastation, these guidelines helped the first six brothers and sisters develop serenity and learn to look more deeply into things, even during the tragedy of war. Though they continued to stay busy helping war victims, organizing demonstrations, printing books and leaflets, running social service projects, and organizing an underground for draft resisters, they renewed themselves with a Day of Mindfulness each weekend. “I so looked forward to these days,” recalls Sister Chȃn Khȏng. “I dwelled mindfully on each act, beginning as I placed down my overnight bag in my room, boiled water to prepare a bath, and then put on my meditation clothes. First I did walking meditation alone in the woods and picked some wildflowers and bamboo branches for flower arrangements. Then after a few hours of dwelling mindfully in each act and releasing most of my worries, I began to feel renewed.” After practicing sitting and walking meditation, the six members gathered together to recite the Fourteen Mindfulness Trainings and chant the Heart of the Prajñaparamita Sutra. For ten years, no new members were permitted to join the Order’s core community. In fact, this “period of experimentation” was extended until 1981, when Ahn Huong Nguyen, a microbiologist and lay meditation teacher, became the seventh member of the Order. Today, there are more than four hundred members of the core community and many thousands of other worldwide who recite the Fourteen Mindfulness Trainings regularly. The Order’s journal, The Mindfulness Bell, list hundreds of Sanghas around the globe, groups of people in local communities who come together to study, practice and discuss the Fourteen Mindfulness Trainings.